Check out the Recently Listed Connecting Rods. Pit Stop USA is The Online Motorsports Superstore! 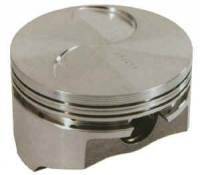 We feature Forged Pistons for Ford 2000/2300 at low everyday prices. Pit Stop USA is The Online High Performance Superstore! We feature Forged Pistons - Honda / Acura at low everyday prices. Check out the Recently Listed Oil Support Rails. Check out the Recently Listed Piston Rings. PitStopUSA.com offers a variety of Piston Wrist Pins from the biggest brands in drag racing including Mahle Piston Wrist Pins, Manley Piston Wrist Pins, Wiseco Piston Wrist Pins and more at low everyday prices. Check out the Recently Listed Pistons. Pit Stop USA is The Online Motorsports Superstore! We feature Spiral Locks at low everyday prices. Check out the Recently Listed Spiral Locks. Wiseco GFX High Performance Piston Rings - Wiseco has a huge ring selection for just about any application on the market. These rings are designed to be used with Wiseco pistons. Pit Stop USA is The Online High Performance Superstore! 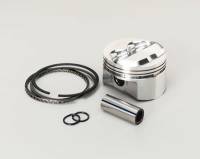 We feature Wiseco Sport Compact Piston and Ring Kits at low everyday prices. Check out the Recently Listed Wrist Pins and Components. Pit Stop USA is The Online Motorsports Superstore! After nearly 70 years in the business, the name Wiseco has become synonymous with pistons, especially pistons for off-road racing and riding. Wiseco has attained that instant brand-recognition by being one of the few manufacturers of forged pistons within the USA. We carry a full line of performance products for just about any Motorcycle, ATV, Snowmobile, PWC or Automobile on the market. With the constantly evolving powersport & automotive markets, Wiseco has remained right at the forefront of technology, developing multiple catalogs of innovative products for the amateur or professional racer. Wiseco is now a one-stop shop for performance products where you can purchase forged pistons, clutch baskets, gasket kits, connecting rods, valves, crankshafts, camshafts, and much more! We feature Wiseco Performance Products including Wiseco Forged Pistons, Wiseco Forged Piston Sets, Wiseco Wrist Pin Retainers and more at low everyday prices!